I found the trip to the Synagogue very interesting. I learnt a lot of new things because I got to see things physically like the yad, the ark, the Torah and a lot more things. 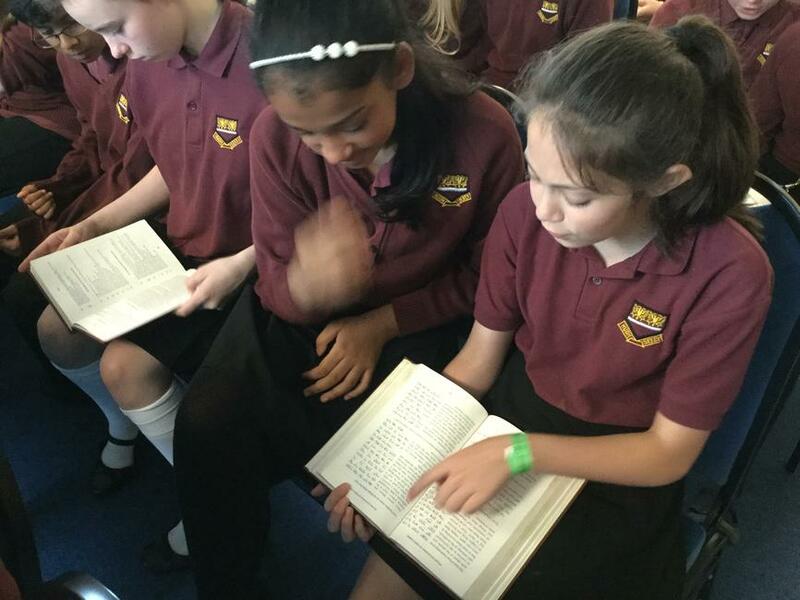 I learnt how the Jewish study the Torah and how they pray. I liked that we got to try on what Jewish people wear like the prayer hat and the shawl. 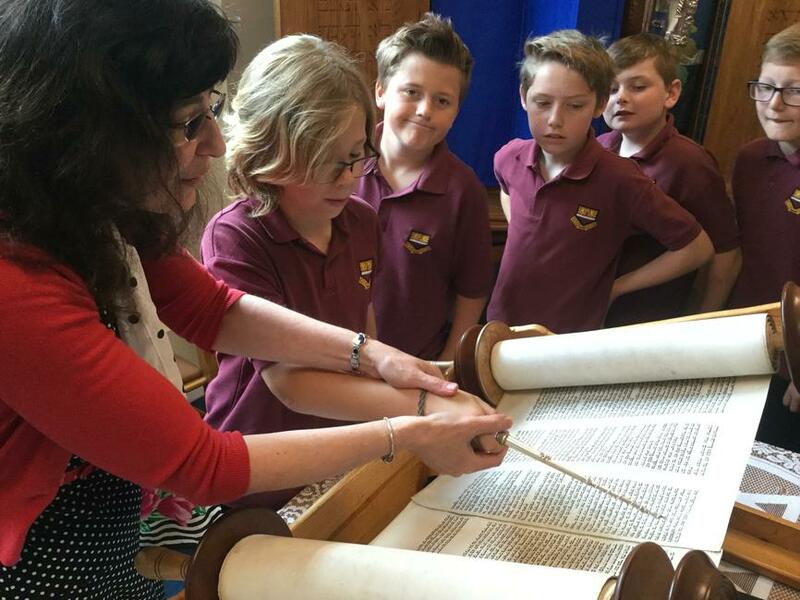 I enjoyed finding out what the Torah looked like in real life and I am glad I got the opportunity to visit the Synagogue and find out what it looks like. It was also nice to find out the similarities and differences between Judaism, Christianity and Islam. To make the trip even better maybe they could include even more practical things like learning how to pray like the Jews. I think the trip to the Synagogue was very interesting. Also I liked finding out the differences between the progressive and the orthodox Synagogues. On the trip to the Synagogue, we all came through the door and we sat down on the carpet. She talked about what they wore and let us try on a Kippah and a tallit. Mrs Taylor then took photos of us. We were sat down there for about 45 minutes but it seemed like 2 hours. Straight after, we went into the prayer room. It had the Torah (not on parchment) on the chairs. We were asked some questions and we asked questions back. What I liked about it was getting out the Torah and having some homemade challah bread, it was very salty. I would have liked to do some activities on worksheets and what they really did on celebrations. I would also have liked to dress up and do more fun things. I thought the trip was interesting and factual. 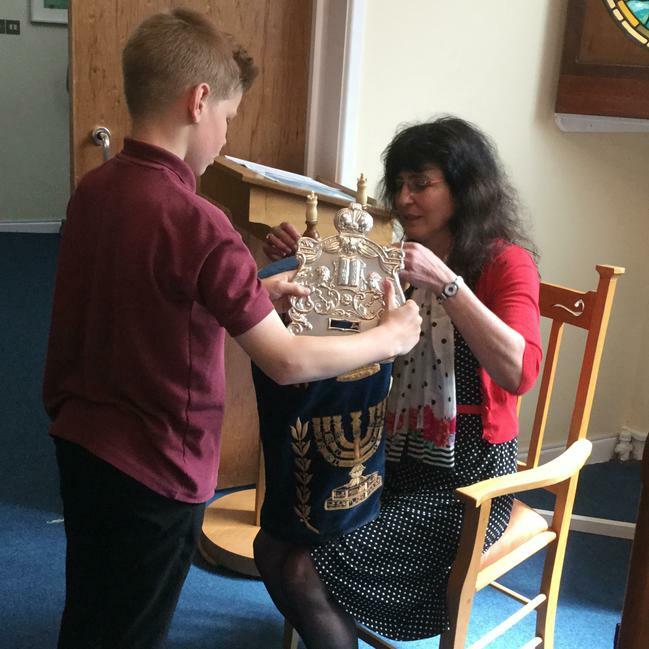 I learnt all about the Torah, the Ark and things women and men wear. We got to eat the challah bread which tasted really nice. I learnt that the scroll was made out of parchment and that they have a scribe to write for them. In Non-orthodox synagogues they allow women and men to sit together, they have English and Hebrew in the Torah books. In orthodox Synagogues they restrict men and women sitting together because the Torah says so. I think it would be better if they let us stand up and have a look around the Synagogue. Most of the time they had us sat down, sing us some of the Torah or read it in English.